After a Century of various uses, the Road House once again rents to residential tenants. A sculpture by local artist Aaron Van de Kerkhove stands out front. The name "Pleasure Point," now widely recognized as one of Santa Cruz' premier surfing spots, was formalized through the efforts of an unlikely champion. Dr. Norman Sullivan was an eccentric and generous man, an enormously popular physician who for many years served as the Santa Cruz City Health Officer. Sullivan was known to have taken chickens as payment for his services, and in at least one case — the birth of this reporter — a side of beef. Retiring in 1950 to the Point, he became a local fixture there, singing its praises in countless interviews. When he died in 1977, the name was so engrained in the public consciousness that it was at last deemed official. Prior to acquiring its nickname, the area had long been known as Point Soquel. It was originally a part of the old Rodeo Rancho of Mexican days, but following statehood was deeded to a pair of Irish immigrants who carved out large wheat farms along the cliffs. The land changed hands several times until it was finally purchased by John J. Henchy at the turn of the 20th century. Henchy was another Irishman, a rollicking freewheeler who migrated to the United States as a sailor following the great famine in the 1840s. After a turn at farming, he moved to San Francisco where he slipped easily into the lifestyle of the Barbary Coast red light district. By 1880, he owned his own saloon and brothel there. Following one of the rare police crackdowns on the area, Henchy returned briefly to farming before ending up in Live Oak, where he bought a portion of the old wheat farms on the point. There, in 1902, he began construction on a building which he intended for use as his primary residence. But even as construction was underway, he turned the ground floor into a saloon. Henchy moved his family into Capitola and continued to operate what became known as the Road House. The Road House was perched almost alone overlooking the surf until 1904, when Austin Houghton bought a large portion of the southernmost tip of the point. Houghton, a former design engineer for J.D. Rockefeller, built a home so similar to the Road House that they almost surely shared the same architect. Houghton named his home "The Owls." These two homes were connected by a wide lane of packed dirt and gravel. Even before more permanent roads were laid out, the point began to attract out-of-town visitors. The vast majority were groups of men who fished, dug clams or hunted pheasants or waterfowl. Initially these tourists pitched tents along the road or stayed at the Road House. Few families came to the point —they usually went to the downtown beaches. Over the next decade, smaller homes, usually summer cottages, sprang up along the cliffs. The largest of these developments was called The Breakers, laid out in 1905, but most of the lots remained unsold for 20 years. Except for a small strip along the cliffs, the point remained basically an agricultural area of small farms and orchards. In the days prior to the Red Light Abatement Act of 1914, it was often tacitly assumed that saloons would have female companionship available to their customers, and the Road House was no exception. But sin did not become an issue there until the advent of Prohibition in 1920. At that point the Road House became one of the busiest speakeasies in Santa Cruz. Because of its isolated location, San Francisco bootleggers made the point a drop-off spot for boatloads of contraband liquor, burying it in the sand below the cliffs by night to retrieve later in broad daylight. The Roaring '20s were the heyday of the Road House, with bootleggers mixing merrily with off-duty policemen and tourists with locals. Flapper girls rented rooms upstairs at night, plying their customary trade. It was then that the name Pleasure Point became irrevocably affixed to the area. According to legend, there arose in these free-wheeling times a peacekeeping group called the Pleasure Point Night Fighters. The Night Fighters were supposedly a public service group of volunteers and renowned as a vigilante organization. In truth, they were actually volunteer fire fighters who not only put out the numerous fires but would tend to victims of the rowdy crowds. The Depression had a calming influence on the activities of Pleasure Point. The lustier pursuits never did actually rival agriculture as the area's predominant activity, and now a string of small tourist cottages were built to attract another class of visitor. Henchy finally retired once and for all, and the saloon was remodeled into a grocery store complete with gas pump and upstairs rooming for families and visitors. The Road House had become completely legitimate. With all the revelry at the Road House during the 1920s, a few eccentric swimmers along the nearby beaches attracted scant notice. As far back as the 19th century, local farm boys did a thing they called "surf diving," similar to body surfing today. The sport became more popular after World War I, when a few long boarders made their appearance on the swells at Pleasure Point. They were mostly members of the Santa Cruz Surf Club seeking waves when Steamer Lane was flat. However, most of the activity on the Point in the 1930s was housing development. One impetus was a farmer named Charles Beltz who successfully sank a commercial water well on the Point, forming the Beltz Water System. The lots at Breaker's beach soon filled up with summer housing, and the Hawes Development sprang up between Moran Lagoon and 30th Avenue. Residents formed the Rodeo Civic Club, lobbying County Supervisors to widen and macadamize East Cliff Drive. They also donated the land to extend 41st Avenue through to the cliffs. Perhaps the most interesting housing tract was the Pleasure Point Subdivision built by W. C. Thompson in 1934. These seven homes were luxury units intended for year-around occupation. The tract perched on the southern tip of the point overlooking Monterey Bay, one of the most beautiful spots in the district. Many of these homes still exist. The subdivision featured the famous Pleasure Point Plunge, which during the early years offered an open air dance pavilion, live music and a cozy fireplace. The Plunge was built over the large basement of The Owls, which had burnt in 1915. Among the various owners of the Plunge were Peggy Slatter, who later founded the Begonia Festival, and the aforementioned Dr. Sullivan, who built a home on the Point during WWII. Dr. Sullivan's only daughter, Marilyn, was a well-known swimmer as well as a musician. The Plunge remained open continuously until 1962 when a wide crack developed in the bottom of the pool, forcing its closure. Besides new roads and The Plunge's association with water sports, one more accident of history led to the Point's evolution into a surfing mecca. 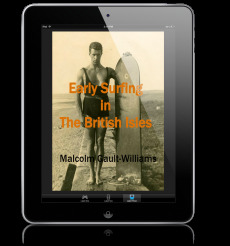 In the 1940s many local surfers, having learned the sport during a tour of duty in the Hawaiian Islands, flocked to the adjoining beaches. 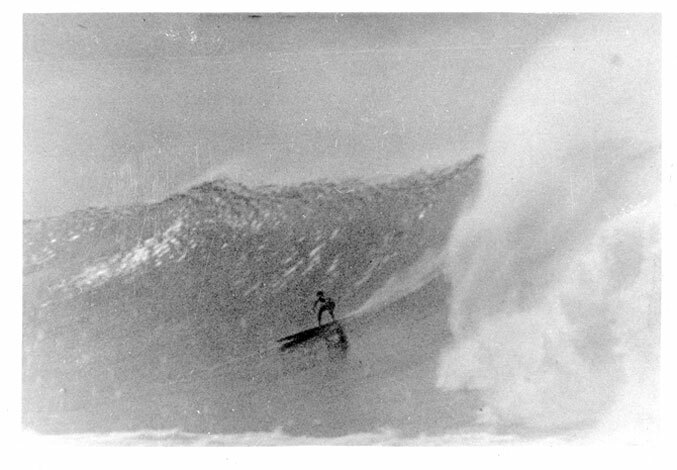 From then on, surfing was king at Pleasure Point. In the '50s and '60s, the popular media discovered surfing, transforming it from a relatively unknown sport to California icon. Pleasure Point emerged as one of the most renowned surfing spots in Northern California, host to a number of stops on the U.S.S.F Championship Tour as well as the annual Jay Moriarity Memorial Paddle Board Race, named for a local surfer. Surfing also inspired the resurrection of a familiar name. The Depression and World War II had brought the Night Fighters' activities to a halt. However, during the mid-1970s, under the leadership of Harry and Ray Conti, the group emerged once again. They lay the foundation for a tight-knit community watchdog organization that still exists today. The new Night Fighters were disheartened with the amount of trash found on the beaches. They were successful in obtaining the donation of 12 trash cans and took on the responsibility of keeping their local area clean and emptying the cans on a weekly basis. They also initiated "Pack Your Trash Day," an event where local residents gather to clean beaches after several high-use holidays. It has served as a model program for other communities in California to clean up their own neighborhoods. The group now maintains a small park on the cliffs across the road from Elizabeth's Market. However, it is the Pleasure Point Road House that remains the enduring symbol of the long colorful history of "The Point." The old building, located on East Cliff Drive between 38th and 41st Avenues, has served variously as a farmhouse, a saloon and brothel, a speakeasy, a grocery store, a massage parlor, a hippy commune and a surfer hangout. The Road House today is privately owned; its rooms and cottages rented out to tenants. After more than a century, it still welcomes those with an eye towards the area's unique pleasures. What a great post, I really enjoy reading your blog, your articles are so "mellow"
Great post, thanks for explaining the history of pleasure point. I surf here often and never knew about the background. I love that area, learn to surf there... I always was told about the Roadhouse but never guess it had such a history. I surf just down the street but still walk by there and just sit and hoot for the rest out in the water. Thank you for keeping the story alive. Road House: R.I.P. ... 1902-2009(?) . Gone now.